Rizal is a founding partner and Director at BlueSky, forming the company with long term colleague Amel Holic back in 2012. Meticulous, highly organised and systematic in his approach to work, Rizal's experience as a Platoon Sargent in the Singapore Armed Forces has shaped him into someone who leads by example, values order and ensures his team are well taken off. Graduating from Curtin University of Technology with a Bachelor's Degree in Computer Science, Rizal worked as a programmer for three years. However, in this role his talent for visual design was untapped and soon he took on a job as a front-end web developer. It's here where he learned to incorporate his programming skills with his design background, producing impressive results for clients. It was also during this time that he reconnected with Amel, a fellow university mate. After a few years working together, the duo realised they could be a formidable pairing, with Amel leading the way for "back-end" programming, and Rizal on the "front-end" of development. Thus, Sidra Blue was born. At BlueSky, Rizal handles the implementation of all websites and systems being developed. This would include being responsible for the UI/UX consistency of the various systems, styling of screens that lack a design, and even coding email templates for eDM campaigns. 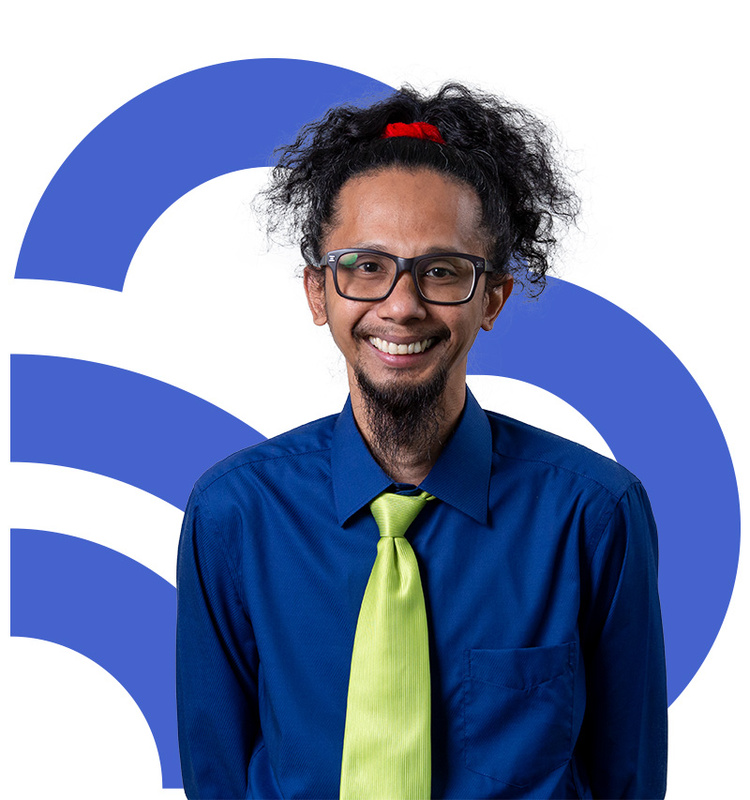 Rizal also spends the time to research on the latest industry trends and technologies, and identifying those that could be implemented by the team. When not working or being engulfed in the day-to-day running of the company, Rizal relaxes with a comic in hand or watching his favourite TV shows. He owns an extensive repertoire of collectible comics and movie figures, and never fails to attend the annual Singapore Toy and Game Convention as a VIP guest. Rizal's love of coffee is legendary, along with his quirky sense of humour, irreverent approach to life, and his support for sports teams like the Boston Celtics (NBA) and Watford Football Club (UK).